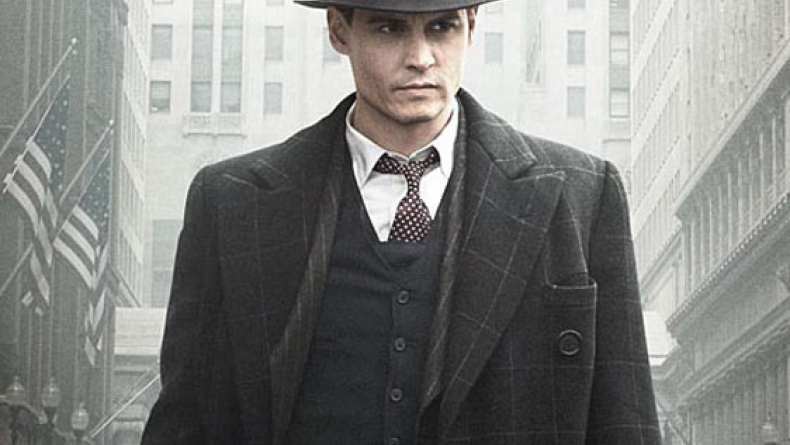 The Interntaional Trailer for Public Enemies which offers many of the same scenes as The First Trailer. In the action-thriller "Public Enemies," acclaimed filmmaker Michael Mann directs Johnny Depp, Christian Bale and Academy Award® winner Marion Cotillard in the story of legendary Depression-era outlaw John Dillinger (Depp)—the charismatic bank robber whose lightning raids made him the number one target of J. Edgar Hoover's fledgling FBI and its top agent, Melvin Purvis (Bale), and a folk hero to much of the downtrodden public. No one could stop Dillinger and his gang. No jail could hold him. His charm and audacious jailbreaks endeared him to almost everyone—from his girlfriend Billie Frechette (Cotillard) to an American public who had no sympathy for the banks that had plunged the country into the Depression. But while the adventures of Dillinger's gang—later including the sociopathic Baby Face Nelson (Stephen Graham) and Alvin Karpis (Giovanni Ribisi)—thrilled many, Hoover (Billy Crudup) hit on the idea of exploiting the outlaw's capture as a way to elevate his Bureau of Investigation into the national police force that became the FBI. He made Dillinger America's first Public Enemy Number One and sent in Purvis, the dashing "Clark Gable of the FBI." However, Dillinger and his gang outwitted and outgunned Purvis' men in wild chases and shootouts. Only after importing a crew of Western ex-lawmen (newly baptized as agents) and orchestrating epic betrayals—from the infamous "Lady in Red" to the Chicago crime boss Frank Nitti—were Purvis, the FBI and their new crew of gunfighters able to close in on Dillinger.